Brandmark is a simple and straightforward logo maker that can be used by individuals with no design or creative background. Its features include customizable logo templates, business card designs, social media graphics, app icons, clipart, and more. In this article, we cover pricing. 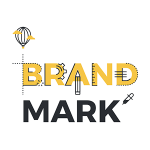 Ready to get started with Brandmark? Visit their website. As of the date this article was written (12/20/18), there are no user reviews of Brandmark available online. If you are a past or current Brandmark customer, leave a review to help other business owners who are deciding whether or not to use the product. Brandmark has three pricing options that are priced per design. The Basic plan costs $25, the Designer plan costs $65, and the Enterprise plan costs $175. The main difference between the plans is the format of the logo. Higher priced options include premium features such as print quality vectors, color options, and social media logo formats. Ready to get started with Brandmark? Visit their website. Best Logo Design Software – Logo design software is great if you are looking for a fast and inexpensive option for logo designs. In this article, we compared Tailor Brands vs Logo Garden vs Withoomph to give you an idea of which design software will work best for your business’ logo needs. How can Brandmark ensure that they produce unique brand logos? Brandmark uses AI technology to choose from over 1.4 million images to generates unique and relevant logos based on users’ primary keywords. Does Brandmark allow modification of design assets? Yes. Brandmark enables users to re-size, reshape, and recolor brand assets within their browsers. Not sure if Brandmark is the right fit for you? Read our reviews of all top design software.